In the catering sector, the traceability of foodstuffs and the monitoring of the cold chain are subject to the strict rules of HACCP, a stringent procedure which identifies, evaluates and controls the major hazards associated with food safety. HACCP, Hazard Analysis and Critical Control Points, is a process involving several stages which enables hygiene control in catering facilities. Preventive measures, daily checks and the involvement of catering teams allow hygiene and food safety in kitchens to be controlled. associated services (project preparation, installation, monitoring, quality handbook digitization, system calibration, maintenance). 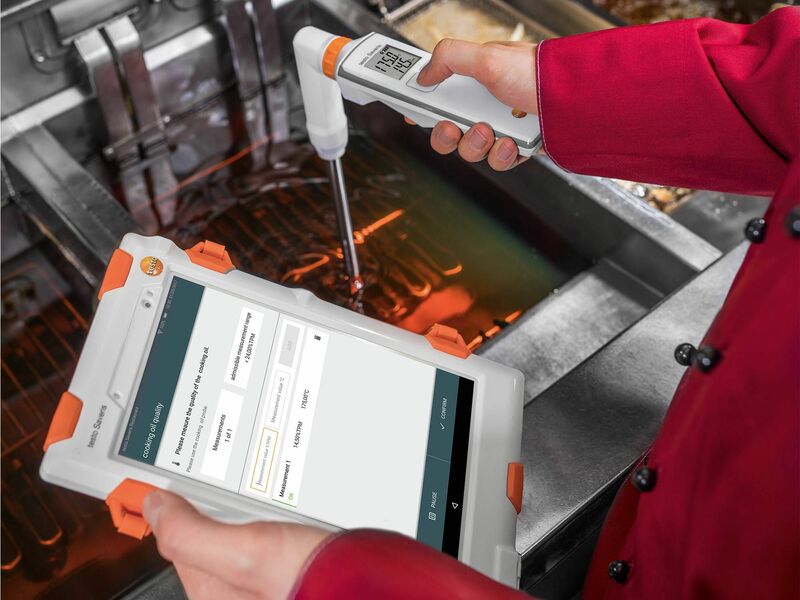 testo Saveris Restaurant enables centralized management, analysis and documentation of all quality-related data with just one click, thanks to the tablet functioning as an operational Control Unit. Every procedure is recorded there and all the data is saved in the Cloud. 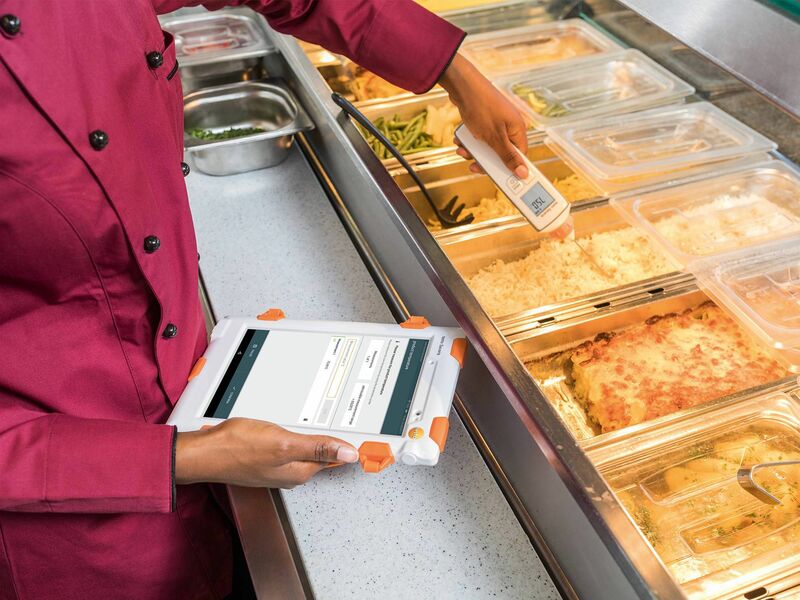 The Control Unit guides catering employees through all the quality controls and corrective measures that need to be implemented in an intuitive and user-friendly way. testo Saveris Restaurant does away with paper printouts and guarantees that compliance requirements are always met. Digital quality handbooks are updated in a centralized way. Testo's measuring instruments provide time savings and reliability, communicating directly with the software. system calibration, management, installation and maintenance.